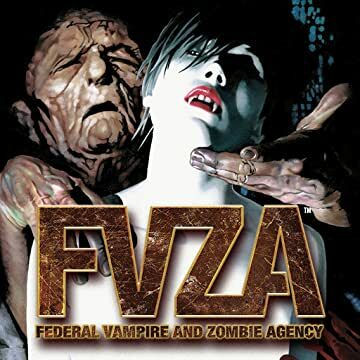 In a world where a deadly disease transforms innocent victims into Zombies and Vampires, only one government task force is tough enough for the job: The Federal Vampire and Zombie Agency. 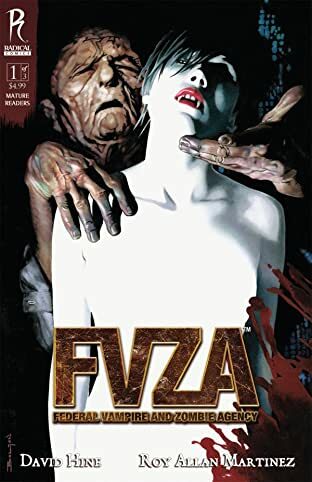 Throughout history, from the Civil War to World War II, the FVZA protected humanity from the blood-sucking, flesh-eating hordes - until a cure was discovered that sent the undead to their graves. 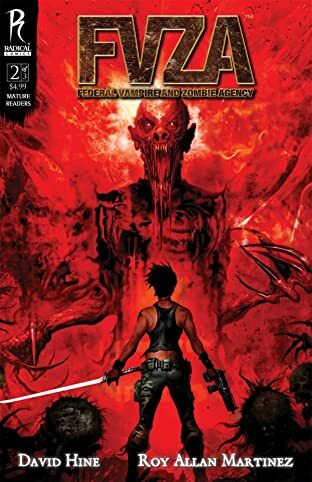 When a new incurable strain of the virus ravages a small town in America, Agent Landra Pecos must call upon her lethal skills to eradicate the threat. 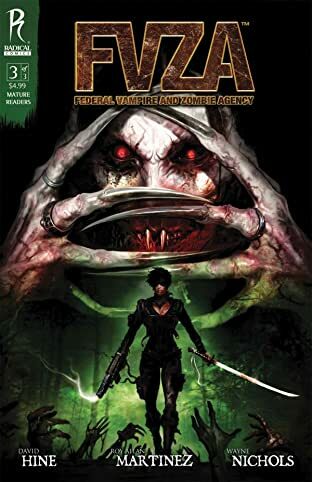 But as Landra delves deeper into her investigation of the undead menace, she uncovers shocking secrets that will change her life forever. Based on the popular website FVZA.org and written by comics superstar David Hine (Civil War: X-Men, Spider-Man Noir, Arkham Asylum). Featuring covers by John Bolton and Clint Langley.